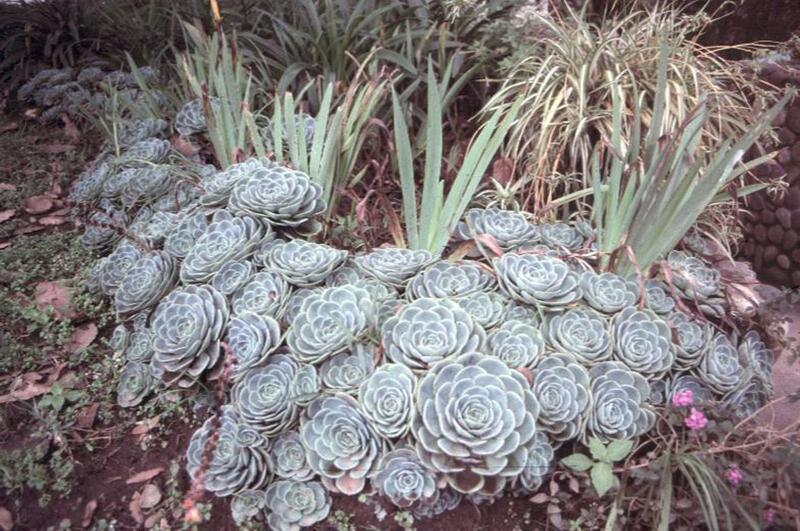 Comments: This succulent produces rosettes of thick fleshy gray green leaves. This perennial makes an excellent container plant and can be grown in the garden among stones, tucked into wall crevices and other places where details are important. Provide a well drained soil. This succulent can take some shade in the afternoon. This plant is often called hen and chicks with the larger units the hens and the small offshoots the chicks. Plants are grown primarily for their foliage, but mature plants do flower on one foot stalks.